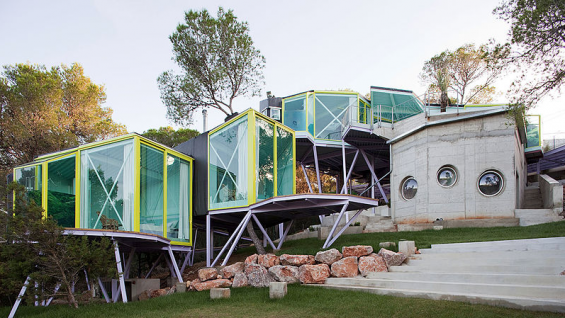 Andrés Jaque (born 1971 in Madrid) is an architect and thinker. His work explores the role architecture plays in the making of societies. He has been considered one of the most challenging contemporary European architects. In 2003 he founded the Office for Political Innovation, a trandisciplinary agency engaged with the making of an ordinary urbanism out of the association of heterogeneous architectural fragments. Andrés Jaque has lectured at a number of universities around the world, including Berlage Institute, Columbia University GSAPP, Eidgenössische Technische Hochschule Zürich, Princeton University, Bezalel Academy, Universidad Javeriana de Bogotá or the Instituto Politecnico di Milano, among others. He is currently teaching at GSAPP, Columbia University. His work has been exhibited at the Schweizerisches Architekturmuseum in Basel, the Instituto Valenciano de Arte Moderno (IVAM), the Biennale di Venezia. and at the Museum of Modern Art (MoMA). His work 'IKEA Disobedients' (Madrid, New York 2012) was the first architectural performance to be included in the MoMA's collection.